Set at an indeterminate time in the near future, this routine, well-acted drama by Elio Petri tackles favorite Italian topics: religion and politics. A bit of macabre fantasy is added to the mix, but the end product remains somewhat muddled. 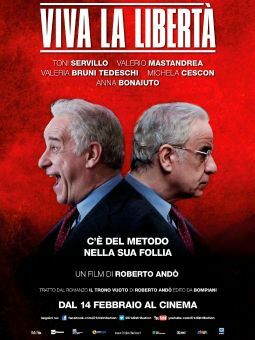 Don Gaetano (Marcello Mastroianni) is a priest who is supervising a group of Christian Democrats on a religious retreat. The objective is to help these politicians purify their past wrongdoings, no matter how large or small, and live closer to God. The retreat takes place in a concrete bunker with plenty of small rooms for contemplation and icons set here and there to offer inspiration. Once the retreat begins, the politicos alarmingly begin to die off one by one. Don Gaetano wants them to get closer to God but did he mean that close?